A LinkedIn profile is now a part of every professional’s tool kit. With over 150 million members worldwide and growing, it is imperative for you to have a LinkedIn profile to be considered relevant in today’s working world. Whether you are job seeking or not, joining the largest business social networking site is still important for you. Business professionals expect you to have one. Your LinkedIn profile gives people a concise, efficient view of who you are as a professional. Your profile shows who you are, where you have been, what your expertise is, and who recommends you. Greatly aides networking efforts. All professionals are, or should be, seeking to increase and enhance their network. LinkedIn helps ease that process by opening doors to people you don’t know, or reinforcing a connection past the handshake and business card exchange. Shows that you are relevant. The fact of the matter is, personal and business social networking is part of our cultural landscape. It’s here to stay. By NOT having a LinkedIn profile, you are branding yourself as out of date and unwilling to use currently accepted business tools. Resources you desire are here. Are you looking for the latest industry updates? Want to find alternate suppliers? Need expert advice on a work related problem? Do you seek new sales leads? Your answers are on LinkedIn! Industries, roles and locations are all represented on LinkedIn. You will be surprised by the wealth of expert information available to you through the LinkedIn network. Not true! LinkedIn is important no matter what stage in your career. Manage your professional “brand.” What is the first thing a recruiter or business contact is going to do after meeting you? They are going to Google you. A LinkedIn presence lets contacts know you are serious about being professional. It also helps control what results come up in search engines when “Googling” your name. LinkedIn profiles typically rank higher than other information available about you on the internet. It’s better for your LinkedIn profile to appear higher in a search than your Facebook or MyLife profiles. Also, consider that no presence on the internet can be more damaging than a negative one. Show references. LinkedIn allows you to request “recommendations” from former supervisors, colleagues, professors or volunteer organizations. Adding recommendations to your profile is a great way to build credibility and showcase your merit without anyone having to chase down your references. Recommendations are a highly sought out and frequently read part of any LinkedIn profile. Manage professional connections. Facebook is great for friends, but is not the right platform for business connections. LinkedIn allows you to share updates, contribute to conversations and highlight your professional endeavors without the distraction of those wild party pics from last night. 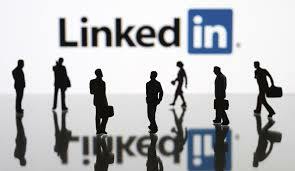 LinkedIn allows you to leverage social networking on a strictly professional basis. Let recruiters and hiring managers find you! Recruiters and hiring managers all use LinkedIn as a time saving resource to seek out active and passive candidates with the skill sets and experience they seek for open opportunities. The robust LinkedIn search tools allow recruiters to use very specific criteria. Some of these include years of experience, schools attended, languages you speak, groups you belong to, and much more!